With the help of technical specifications, discover all the cannon used by the American forces campaigning between 1941 and 1945. 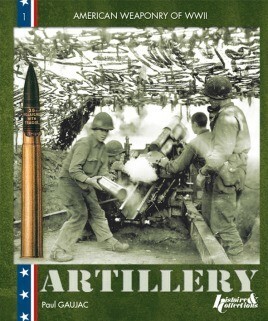 Field artillery and anti-tank and anti-aircraft guns are presented from the technical and historical point of view. A chapter is devoted to radio vectors and another to artillery spotting. Undisputed specialist of 20th Century French Army history and former officer, Paul Gaujac served in the paratroopers, in the air transport command, at the nuclear submarines headquarters and then at that of the Army, finishing his career as head of the Historical Department of the Armée de Terre. He has published twenty works, three of them with Histoire& Collections. Modelers, military equipment enthusiasts and readers interested in World War II history will all find this an excellent new reference book.